LAS VEGAS – Wild horse advocates are calling for a formal investigation into the shooting deaths of eight mustangs who were killed in northern Nevada. However, people in the area where the horses’ bodies were found said there was nothing humane about the shootings. The I-Team has been asking the BLM about the incident since right after it happened on a Nevada ranch owned by Madeleine Pickens in late August. The bureau didn’t seem to know what the I-Team was talking about then, but the denials are now over. “Bureau of Land Management (BLM) policy permits humane euthanasia as a last resort in instances where wild horses and burros are too sick to be transported. In this case, BLM personnel were conducting an emergency gather of horses suffering from severe dehydration and starvation. Agency personnel determined that eight horses were in such severe condition and suffering that they could not be saved, nor transported. 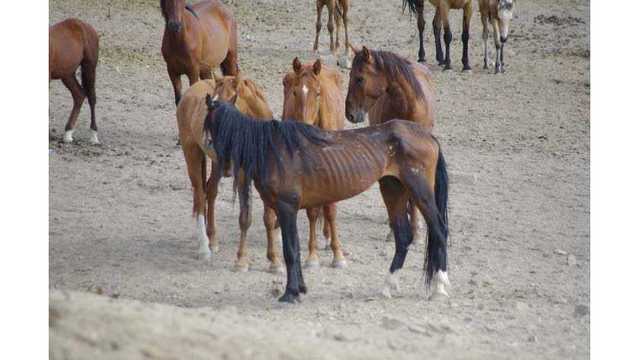 The agency also sent a photo of the emaciated looking horses. WARNING: The image is graphic, and may be disturbing to some audiences. Although the BLM said the horses’ severe condition made it so the agency couldn’t transport them to save them — so euthanasia was used as a last resort — it’s the way the horses were put down that raised questions. 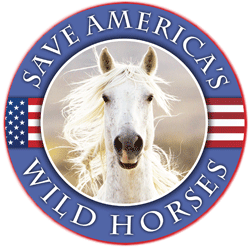 “This is shocking; shocking that a government agency would be involved in this,” said Jerry Reynoldson, an advocate for wild horses. The horrific photos of gut-shot mustangs, piled into a heap by the same BLM team that gunned them down in late August, stunned Reynoldson, even though he’s seen thirty years of what he calls ‘callous disregard for wild horses’ within the agency designated by law to protect the herds. Reynoldson says there is no possible excuse for shooting so many horses, so many times, in their backs, stomachs, and elsewhere. He says the horses’ deaths must have been slow and agonizing. “It’s probably as inhumane as anything I can imagine,” said Reynoldson. “There are so many other ways to approach this. They are professionals at trapping horses, and there were multiple ways they could have trapped these horses. They could have lured them away from that spot fairly easily if they wanted to,” he said. The eight horses were shot during what the BLM called an emergency roundup in Elko County. When they were rounded up and shot, they were on land owned by businesswoman Madeleine Pickens. Reynoldson was an advisor to Pickens when she purchased two Nevada ranches then invested $25 million in creating Mustang Monument, a wild horse eco-sanctuary that Pickens hoped would be a model for the BLM: A partnership with private landowners where mustangs could run free on the same ranges where the first horses on earth evolved. Instead, the BLM has battled Pickens at every turn. Her tourist attraction is now closed to the public. For two years, she’s sought BLM permission to repair Boone Spring and provide water for wild horses, but the Bureau of Land Management said no. The agency also said no to emergency measures she proposed, and when Pickens confronted BLM managers at the scene of the shootings, they sidestepped questions about what they’d already done. “She didn’t want to admit it. I asked her, ‘what’s going on here?’ She said nothing. ‘So, nothing I need to know about?’ ‘Nope; nothing.’ I said ‘there are dead horses.’ She said, ‘Oh?’ Then they turned around,” Pickens said. Reynoldson, who tried to work with BLM as both a U.S. Senate staffer and as an advocate for wild horse adoptions, worries that for the BLM to do something as audacious as shooting mustangs — it might be an omen of even worse things to come. “When you see a single action like this, it’s because they’ve become emboldened by what they are hearing behind closed doors and the silence — the direction they’re getting — its okay to go ahead; take more extreme measures, and this is the new normal,” Reynoldson said. The I-Team has filed a formal request for all documents related to the incident. OMG the BLM did do it. Will Lawyers be hired? I will donate. They have killed hundreds this year, one way or another. This cannot Stand!!! I keep seeing the statement about the horses having been killed on Pickens land? Is this her deeded land or is this the BLM leased land she has contract for use, that alone is a big difference. One is blatant trespassing, and if so why have charges not been filed and arrests made for such? The other is NOT her land in reality but only an agreement for its use for fee’s? The situation between the BLM and advocates in Nevada needs to change. I think both sides have a big attitude change to make, the hatred and adversarial methods are escalating more then in the past AND the horses are the losers in these confrontations and they keep getting worse. Is this a stock photograph in this article or a actual photograph of one of the horses shot? If so this horse would not have made it half way through the winter, that is for sure, BUT if killing it was deemed necessary then a single shot kill was the only appropriate method, not multiple shots, and especially shots meant to inflict pain such as gut shots. I cry for these horses and the pawns they have become for human greed. Once again a bogus, uncredited or dated photo is used for an unrelated article. This photo was taken in 2017 (per the info on the linked website) but has no caption. It is NOT the animals shot in this current event. It’s also incumbent on everyong to pay attention to the photos carefully. This one shows a single very thin horse surrounded by others who are not. There is one bony horse facing the camera but it’s not possible to see the overall body condition from the camera angle. One dead horse looks like a yearling. Nevertheless, the majority of horses look just fine. Individual horses in an otherwise healthy herd get thin for a variety of reasons: age, poor dentition, disease, injury, parasites, poisonings. Part of natural management is to expect this and intervene as little as possible. Highlighting a single horse from an unrelated event is blatantly fraudulent and cannot be considered journalism. Also, if the BLM did indeed determine the horses they shot were “beyond recovery” they surely documented this conversation and these animals before shooting them. Which veterinarians were consulted to determine these horses could not be transported or saved? Were they already down and dying, or were they running away once the shots were fired (which might explain the gut shots and numerous bullet holes)? 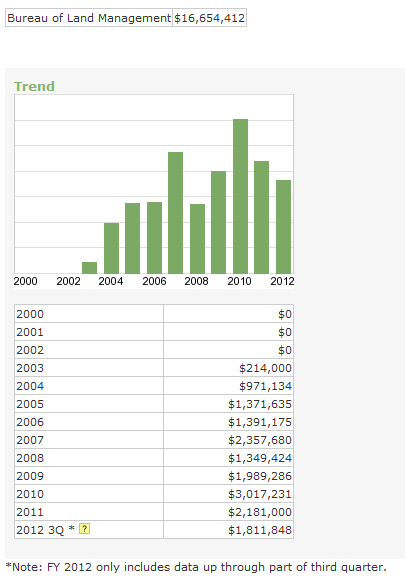 Where are these records, the proof which would verify their initially unreported killing? Who called Ms. Pickens to tell her about the killings — after the fact? What caliber of bullet was used, and how many? If government issued they should be traceable to distinct firearms, and those to whomever was authorized to carry them. What heavy equipment was used to haul the carcasses off-road in a sensitive ecosystem? It looks for all the world like random horses were used for target practice, then dragged off together in a pile. Many questions, few answers. Nothing here passes the smell test, including “management” by random killing. Indeed! And in both incidents would water and hay have been the humane action? This is sickening and heartbreaking, that the BLM can run wild and do whatever they wish to these wild horses, and pass it off as “humane euthanasia”…when it was obvious the killings were done in a way to inflict the most pain and suffering possible. I’m so infuriated that they are getting away with this kind of blatant disregard for how our wild horses are treated, and are emboldened to do these kind of killings, all the while knowing they won’t be held accountable, as usual. The BLM is full of lies and corruption, a rogue agency that should be shut down and certainly NOT in charge of our wild horses and burros, whom they only wish to exterminate all the while justifying it with tired and ridiculous excuses. On top of everything else – Zinke’s pick for Interior Deputy Solicitor for Wildlife and Parks is Karen Budd-Falen!! May I respectfully request the bogus photo be removed from this site, or a legitimate caption be provided including the location, date, and name of the photographer. While provocative it seems to be unrelated in any way related to this story other than it was supplied on the Las Vegas Now site without a caption either. In fact republishing it here may be a copyright violation. I posted this on facebook a couple of days ago and it got very political. I had over 1500 shares and involved in heated political debate over it by people who wanted to shield Trump from it. I even got people who wanted my address to come to my house and “teach me a lesson”. Most called me a idiot, lier, lib, and publicized me as such on their pages. On the other hand many more people accepted the matter as fact and were outraged. Most of my facebook friends are horse people and too many refuse to believe their President could ever be part of an administration that would allow it. Politics affect people in strange ways and people forgo our wild mustangs, a clean environment, climate change, kids in jails, woman bashing, tax evasion. Can the wild mustangs once again save us before it’s too late? Frankly, most social media gives voice to far too many “anonymous” haters – with no consequences. With the current political environment – far too much “debate” and drama over anyone who dares to have an opinion different than theirs. Things said there likely would NOT be said face to face. Is there Nothing the BLM scum won’t do?? Appalling and disgusting. Has no one in our government heard of the Wild Horse Act and the protection it is supposed to provide!? Yes, I want to know if it was Ms Pickens leased land, or her own. It makes no sense why they won’t allow water. This info needs to get out to the public in her state, so folks can understand what’s going on. Seeing the starving horse is misleading. They need food and water which she has been willing to provide. Per the LasVegasNow articles, the horses were gunned down on Pickens’ land. Why isn’t the head of the DOI, Ryan Zinke, weighing in on this publicly? His silence is damning. I’m getting pretty sick of the BLM. They think we are so stupid. They pulled off some stuff with our Salt River Horses.